The West Hills Neighborhood Council’s Homelessness Subcommittee, in coordination with the Los Angeles Homeless Services Authority (LAHSA), is sponsoring the 2017 Greater L.A. Homeless Count in our community, and we need your help! 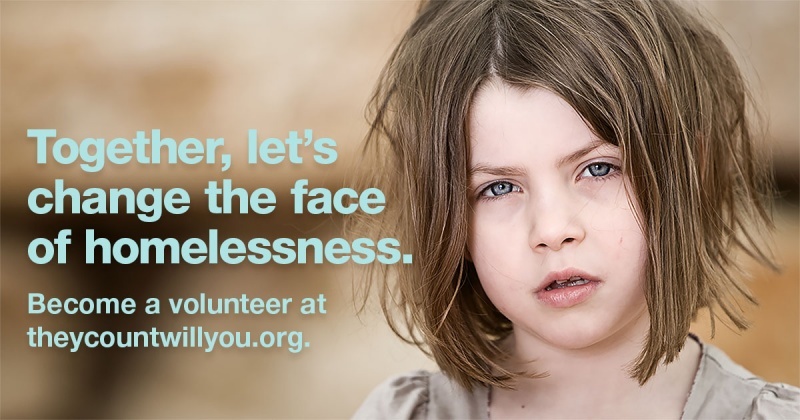 On Tuesday, Jan. 24, at 7:30 p.m., at the Canoga Park Community Center we will need 80 volunteers to go out in our community and help count and identify the homeless members of our community. Everyone from all ages can participate including children 14 years or older with a waiver from parent, and receive community service hours for school or other organizations. To sign up, text “VOLUNTEER” to (213) 342-6175 or CLICK HERE. For more information about the Homeless Count, contact [email protected] and/or [email protected], or visit www.theycountwillyou.org. Be part of the solution and sign up now. Thank you and see you there!